That means we need to up our server specs, which also means we need to up our yearly costs. After increasing the disk space again the yearly costs of conceptartsessions.com will come down to 300 euros (336 dollars). Bella and I have been paying these costs ourselves ever since we started, but as we are saving up money for new adventurers we start to look for other ways. The first thing we though of was advertisement, but a quick google made us realize this would not quite fit the bill. We only get 350 page views a day on average (about 70 unique users).. which, no matter the advertisement technique, wouldn't get us anywhere near making back our server costs. We already have a donating system, which has been used by some (thank you!!) but also not enough to pay the bill..
Pay a small amount and a small icon will appear next to your avatar for a year, showing the community that you have contributed to the server that everyone is enjoying. We could show a small kickstarter-esk bar filling up showing how much is left to pay that year's server cost together. All of the above, plus access to some features that you'll only get now that you've got a premium account. Think of joining sessions, chat system and maybe unlimited pieces in your gallery. Somehow it kind of hurts bringing out these last few ideas, although they do sound very effective. We wander how much you would pay for this premium account, and if you have an alternative idea we want to hear that too! We're really curious on your guys' opinion on this! Maybe it's a good idea to put a limit on image/file size? It seems most people upload full-size images. 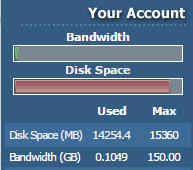 Assuming they're all stored on the server, that's a lot of wasted space. I just hit download on a few images, and they seem to average at around 6mb a piece, which is really not needed. Maybe a maximum of around 800/1000px on the longest side? I agree with onenortwo, fix the issue at the source, just limit the upload size. That will save some space for now. I agree with the stuff said above. Limit the image size to 1k max (wide and height probably). Give premiums more image size and unlimited pieces in gallery but do not remove joined sessions for normal users, that is not cool. Instead of removing features from non-premium accounts give features to premiums. Edit: We talked about it some more in the hangouts. 1k is a bit too little. Maybe around 1.2k would be fine, because some pieces just need more zooming in. Or what if we have a concept art with different angles/variations? 1.2k, more for the premiums. About the payment thing... did i get it right that there are 70 users? If every second buys such an account that costs around 10€ (= 11,2 $) for one year, you get the 300€. What about a voting on "who would buy a premium account" ? There are actually 1464 registered users but I doubt even 80% of them are active. Still, more than 70 probably? I would even donate if I had a credit card or some way of doing that. 10€ is no big deal really, but no one would pay 10 for the premium account. I mean I would, but merely as a way of donation. With CAS not being a large site I don't see why anyone would really want these features that much anyways. Even if someone was give these features for free he wouldn't care that much, you know? So what would motivate him to pay for a premium account? Only if he wanted to donate. Wouldn't advertisement still cover some part of the cash needed? Advertisement, image file size reduction, donation/premium accounts... still won't be enough though. Hmm. Thanks for all the feedback guys, we really appreciate it :D Limiting upload size sounds good, at least for everyone until we have something like premium users. Keeping features from non-premiums never felt right to us either. What do you guys think about having a small icon next to your avatar for a year after donating 10 euros or more? That might inspire others to do the same.. We could then have a page showing off how much money we need to collect to pay the server costs? Can't we delete some resources as well? I'm sure there are people who wouldn't mind some of their arts which they don't think are that great be deleted. They could delete old sessions to replace them with new ones, no? I'm not saying to force people to do it but.. gently ask them? That way the amount of arts in CAS will be decreased, true, but hopefully it could be replaced with better quality ones once the users start new sessions. We're not sure about deleting pieces that are already on the site.. we feel like the popularity of CAS grows when there are more pieces. Also, keeping the old pieces of artists that are becoming better show signs of improvement.. something we might want to explore in a later stage. Hmm... good point. Well a few artworks won't hurt, no? Still enough to see progress but also some to get more space for new ones? Ah but I guess once you put a maximum to the art gallery of each user the users will recycle their arts anyways, to free more space for new ones.